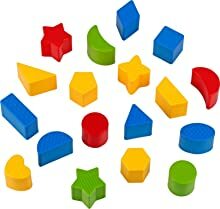 18 Colorful blocks Shape-sorting lid and 5 different shapes - Promote hand eye coordination. 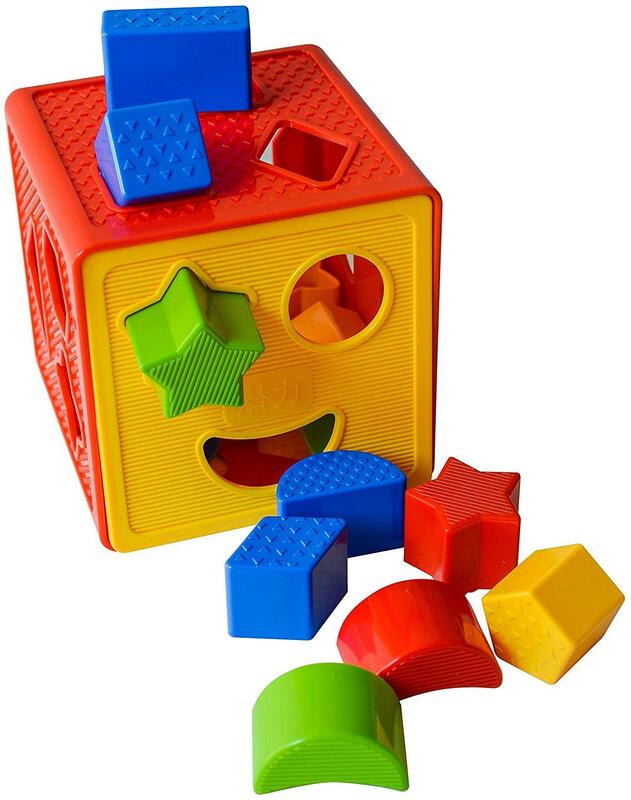 Easy to grip blocks - Develop shape and color recognition - Foster problems - Solving skills. 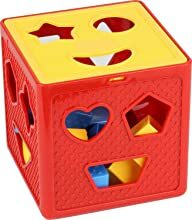 Educational blocks sorer cube shapes is challenging and fun for little ones - BPA free plastic, Safe materiel for babys and toddlers. These building blocks are excellent at helping children develop shape and color recognition while solving simple problems and having fun at the same time. What’ more, you can also help them socialize by playing with their friends or siblings and learning how to co-operate and share ideas and creative thoughts. Our educational blocks sorter cube is challenging and fun for the little ones, but at the same time it’s also 100% safe on their health and well-being. They are made with BPA-Free plastic which is the only safe material for babies and toddlers of any age. 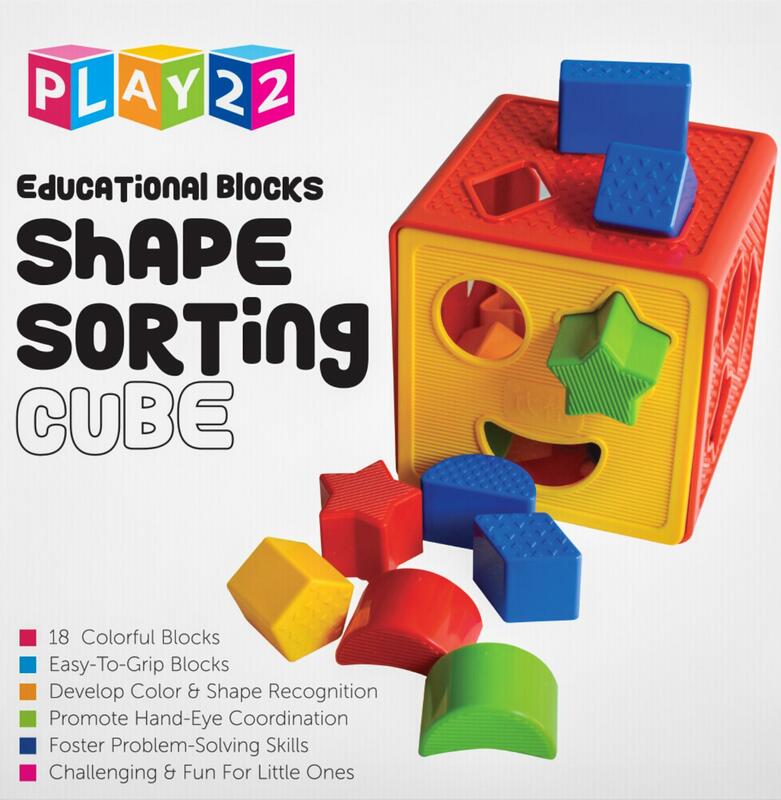 Help your toddler develop math and vocabulary skills and encourage positive social interacting by offering your child the Play22 exclusive building blocks set! We promise you that your child will have a BLAST, all the while developing hand-eye coordination skills, motor skills, spatial skills and a capacity for creative divergent thinking. Watching TV and playing that video game all day is not the most productive for ANYONE to spend their time, let alone your young child! Invest in a shape and color sorting game that will offer your child hours and hours of fun while helping with their physical and mental skills.